Coolpad has added another smartphone in its Note 3 series, i.e. Coolpad Note 3 Plus, in addition to Note 3 and Note Lite, priced at Rs. 8,999 and Rs. 6,999 respectively. Coolpad Note 3 Plus carries a price tag of Rs. 8,999 (same as Note 3 launch price) but recently Note 3 has got a price cut of Rs. 500. The phone will be available from 13th May via Amazon India. The customers have the choice to choose from Gold and White color. Coolpad Note 3 Plus has the same 5.5 inch display as Note 3, but this time it has full HD resolution (1080 x 1920 pixels) instead of 720p display. Other than display, all other specification are same as Note 3 which was released last year. Which means it is powered by Mediatek MT6753 chipset with 1.3GHz Octa core processor and Mali-T720MP3 GPU. 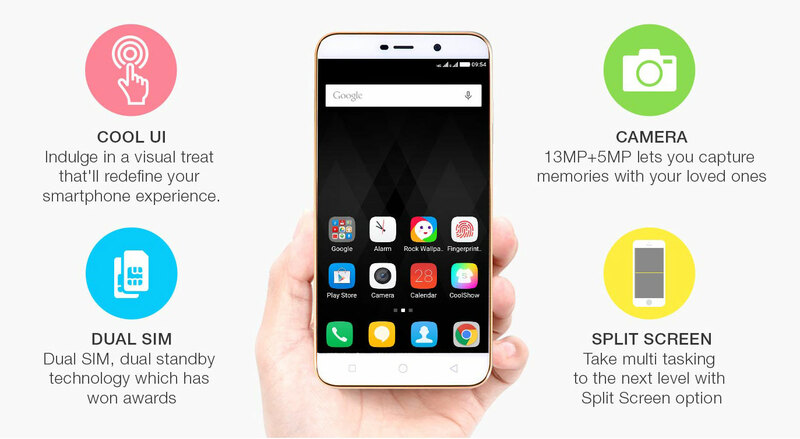 Coolpad Note 3 Plus has 3GB of RAM and comes with 16GB of internal storage, which can be expanded up to 64GB. It runs on Android 5.1 Lollipop with CoolUI 6.0. Likewise, the device is equipped with 13MP primary camera with auto-focus and LED flash. At the front, it holds a 5MP selfie camera. Other than this, it has fingerprint sensors and FM radio. It is backed with 3000mAh battery that delivers 18 hours of backup with normal usage. The other standard features include Wi-Fi 802.11 b/g/n, Bluetooth 4.0, GPS, Hotspot. 3.5mm jack and microUSB port. Note 3 Plus has support for both 3G and 4G networks, but 4G network is available only in first SIM slot. In short, it is a Coolpad Note 3 device with full HD display. Other alternatives at similar price range are Samsung Galaxy J3 (Rs. 8990), Lenovo Vibe K5 Plus (Rs. 8499) and Motorola Moto G 3rd Gen (Rs. 10,999). To get more updates on Note 3 Plus and other upcoming Coolpad smartphones, stay tuned with us.